Wedding photography is not the first thing most people associate with Dim Horizon Studio. Typically when googling our photography you come across cosplay, creative, kinda whimsical work. However when searching for a wedding photographer most people have an idea of either a budget, or a style they are looking for in their future photographer. What Ann had in mind was quite different. As the conversation unfolded I'll never forget her explaining how she came across us and our work; "I needed a photographer who had Aquarium experience, and who wouldn't judge us for being dorks. 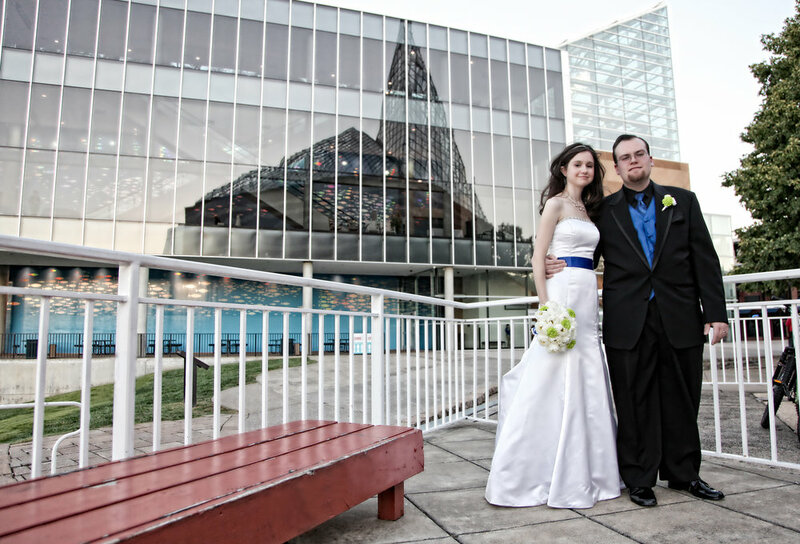 I found your Bioshock work at the GA Aquarium and I knew right then and there that I had found our photographer." Well Ann, dorks get married too, and boy are we happy to help facilitate that!